The program fees for IDF@SV are set to make the joys of dancing in the Festival accessible to everyone. Full & partial scholarships are available. Deadline for applications is June 30. Here is a list of fees for all classes and events. 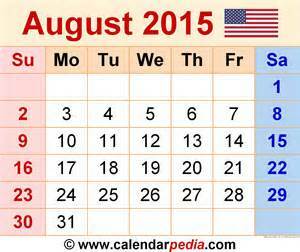 Early Bird cut off date is July 10, 2015, in all categories. For more information please email livelyfoundation@sbcglobal.net or call 650/969-4110. Part-time enrollment: Single M2F© workshop: $134; Two M2F© workshops: $265.50 Please note that Part-time enrollees are not eligible for scholarships or for Early Bird or other discounts. Festival Preview, 8/9, offers a Dunham Technique (Afro-Haitian) class and a Salsa Class. Single Class is $25; both classes for $36. For dancers taking all the M2F© workshops either class is $12.50, take both for $25. Festival Concert, 8/16, General Admission: $15; Over 65 & under 10: $10; Sponsor ticket: $25 guarantees best seats and includes a $10 tax deductible donation. Payment may be made by check made out to The Lively Foundation and mailed to The Lively Foundation/550 Mountain View Avenue/Mountain View, CA 94041//Walk-ins for Festival Preview or Full Day of Dance© may pay with cash, check or credit card. To pay in advance by credit card: Please go to Lively’s website at www.livelyfoundation.org//on the home page look for Donations in the list of pages above the title “The Lively Foundation”/on the right hand side of the Donations page there is a paypal logo/please follow the directions for DONATIONS on the paypal page so that they will not deduct their service charge. THANK YOU!!! 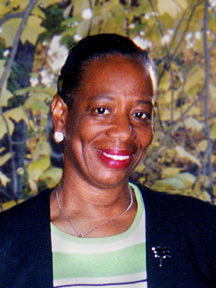 This entry was posted in INTERNATIONAL DANCE FESTIVAL-SILICON VALLEY and tagged Afro-Haitian dance, Chinese Classical dance, Contemporary Dance, Cuban Salsa, dance festival, Dunham dance, Dunham Technique, International Dance Festival-Silicon Valley, Line Dances, Mountain View Masonic Center, Pilates mat, salsa, Tap Dance, The Lively Foundation on June 29, 2015 by Leslie. This is it, the weekend of the perfect storm of San Francisco Bay Area events. It is a harmonic convergence of absolutely everything. The 45th Annual Pride Parade will be the biggest ever, well over 100, 000 people will crowd into the narrow streets of San Francisco to party and parade. The arts of music, personal adornment, and social action will be represented. The party at the end of the parade, around 5 p.m., occupies Civic Center. Both the San Francisco Giants and the Oakland A’s are playing home games. The Giants’ game is at 4:05 p.m. The Pride Parade will have moved past the stadium by then. In Golden Gate Park: The Turner exhibition is up at the de Young Museum, Alice Radio’s Summerthing brings live music and food trucks from 12-4, the Dunsmuir dance company offers Scottish music and dance from 1 -2:45 (free), and all the usual attractions from the Japanese Tea Garden to the Bison are there for you. The San Francisco Symphony’s Beethoven Festival offers its final performance of Beethoven’s opera Fidelio with an all-star cast including Nina Stemme in the title role and Alan Held. It will be an inspiring performance. With liberty and fidelity as its noble themes, this opera is more than worth whatever transportation challenges you think you might face. It begins at 7:30 p.m. You will have the treat of mingling with the revelers near by. Celebrate Liberty and Fidelity! Pictured here: Opera star Nina Stemme. This entry was posted in Hedgehog Highlights and tagged Alan Held, Alice Radio, Beethoven Festival, Dunsmuir Scottish Dance, Fidelio, Golden Gate Park, Nina Stemme, Oakland A's, Pride Parade, San Francisco, San Francisco Civic Center, San Francisco Giants, San Francisco Symphony, Summerthing on June 28, 2015 by Leslie. It was a pleasure to see Tradition and Transcendence, the Bharatanatyam concert presented by Sangam Arts, June 22, Palo Alto. The featured artist, Navia Natarajan has so much to offer the dance form in which she excels. A classical Indian dance concert of the Bharatanatyam style follows a certain program form which allows dance followers to compare achievements in rhythm, expression, and grace. Ms Natarajan departed a bit from the usual format by inviting young dancers from four classical Indian styles to open the concert. ** All of these were “pure dance,” “Nrittanjali,” which in this case means that the focus was on rhythm and the execution of treasured movements rather than on the telling of a story. The traditional opening number, the Pushpanjali, was performed by Kuchipudi exponents being trained by their Guru Madhuri Kishore; next was Nritta, performed by the Kathak students of Guru Sayali Goswami; Jatiswaram, a Bharatanatyam selection was performed by students whose Guru is Ms Natarajan; the Megh Pallavi was an Odissi selection danced by the students of Guru Ratikant Mohapatra. The closing piece was Euphoria, including all four dance styles. The choreography was by Gurus Niharika Mohanty, Madhuri Kishore, Sayali Goswami, Navia Natarajan. This was a happy way to see that Indian cultural riches are carried into new generations and secure in new homes in California. Congratulations to the Gurus and Sangam Arts for this inventive presentation. The heart of a Bharatanatyam performance is in the Varnam, a long dance which tells a story, usually a devotional story. Ms Natarajan selected Swami Naan Undhan Adimai. It shows a young girl who grows into a woman whose passion is for Lord Shiva. She seeks to be united with him. While the narrative is touching and related beautifully by Ms Natarajan’s movement and expression, the lasting impression for this viewer was the way she opened up her movement to take on the stage space. With its ancient origins in temple sculptures, classical Indian dance traditionally could be done effectively and beautifully in a small space. In Western classical dances, one is taught that movement through space is the dance more than the pose of even a perfectly balanced arabesque. Navia Natarajan seems to have challenged herself to open up the traditional movement. She has all the qualities of an excellent Bharatanatyam dancer, and she also jumps. Jumping across the stage; now that is something different.The transcendence in her program’s title is the goal of the dance performance. The dancer’s performance should relate to the mind and heart of the onlooker who will be lifted up out of time and space through the dance. It is a big goal, but why not go for transcendence? Dancing is not an idle pass time. All this work is about something. In the audience, this Hedgehog heard impressed onlookers comment on Ms Natarajan’s great energy. Yes, and it is energy with a direction. The transcendence here was also about literally transcending the stage. She is working toward choreographic innovations. Her Amarushataka was an expressive piece set to 7th century poet Amaru’s lyrical work on the mutability of love. The closing work, Agni, reflected three aspects of fire. It matched nritta, pure dance, with profound expression and abstraction with personal feelings. There is tension between Navia Natarajan’s movement exploration and fidelity to classical forms. The tension served to produce drama and passion; all of which drives the dance into the heart, which is exactly where she wants it to go. This entry was posted in Hedgehog Highlights and tagged Amaru, Bharatanatyam, Madhuri Kishore, Navia Natarajan, Ratikant Mohapatra, Sangam Arts, Sayali Goswami on June 25, 2015 by Leslie. MTT opened the June 18 program with Symphony No. 5. The shock and awe (isn’t this a truer way to use those words than their more recent history as a pair?) of the Symphony still occupied our beings when the second half of the program opened with the Sanctus movement from the Mass in C major. It begins with only four measures played by the orchestra and then is sung by the chorus without accompaniment. The San Francisco Symphony Chorus with soloists Nikki Einfeld, soprano; Abigail Nims, mezzo-soprano; Nicholas Phan, tenor, Shenyang, bass-baritone gave us a stellar presentation of the prayer of praise. The Sanctus is also a central Hebrew prayer: Kodosh, Kodosh, Kodosh, Holy, Holy, Holy, Sanctus, Sanctus, Sanctus; the words, meaning and purpose are the same. The purity of the singers’ voices created a new atmosphere in Davies Hall, peaceful and exalted. Beethoven was a great pianist as well as a great composer and sought after for his performances. Spontaneous, improvisational “fantasies” were greatly valued by music lovers; Beethoven was a master of this kind of playing. Improvisation disappears as it happens unless a recording device is present. There is some documentation of cadenzas which were written after an improvisation or descriptive writing reporting on the music. Fortunately there is a document of Beethoven’s Fantasy (Opus 77), 1809. This exciting music may be as close as we can get to Beethoven improvising. Performed by Jonathan Biss, the Fantasy was a roller coaster ride of rapidly changing forms and exquisite, high spirited energy. Mr. Biss obviously relished exploring Beethoven’s free ranging imagination. His performance was thrilling. This entry was posted in Hedgehog Highlights and tagged Abigail Nims, Beethoven Festival, Brielle marina Neilson, Choral Fantasy, Fantasy (Opus 77), Jonathan Biss, Mass in C Major, Matthew Peterson, Michael Tilson Thomas, Nicholas Phan, Nikki Einfeld, San Francisco, San Francisco Symphony, San Francisco Symphony Chorus, Sanctus, Shenyang on June 24, 2015 by Leslie. There it is on the program: Symphony No. 5 in C minor, Opus 67, by Beethoven. You know it, don’t you? There’s the image of Winston Churchill holding his hand signaling “V for Victory.” If you are not old enough to recognize that elderly gentleman, you might be old enough to recall this symphony providing a theme song for the Huntley-Brinkley TV news. Maybe you are lucky if those visual images do not cloud your ability to hear the music. Is it possible to hear this music? It was sent into space so that the ETs of a distant universe could know who we humans are. For this writer, it is necessary to admit to not having heard this music for a very long time. In fact, it is impossible to remember the last time. That is good luck because listening to this music as though for the first time, one realizes that it is forever new. What was Ludwig Van Beethoven thinking while creating this symphony? One can only be sure that he was not trying to walk in the shoes of any other composer or to meet the expectations of the average Viennese concert-goer. The spectacular performance by the San Francisco Symphony, June 18, took my breath away. It opened the mind and heart to new experiences and perceptions. It was so startling that it was necessary to hear it again before attempting to write this post. Fortunately, the SFS, Michael Tilson Thomas conducting, did record their performance of the 5th Symphony. It is available on CD from SFS Media. The instantly recognizable opening three short and one long sound happens abruptly and violently. It is there on top of you without invitation or introduction. A lengthened, suspended note does not provide relief; it is suspended on a precipice of the unknown which is coming next. Repetitions make this theme seem almost normal, but it returns to threaten, provoking anxiety. A distant lyrical voice calls and disappears. The martial sounds are resolutely marching forward regardless of any misgivings. The force will not stop for us to reconsider. The Andante con moto, second movement, seems like it will be gentler. One hopes to catch one’s breath and disregard the threat in the first movement, the Allegro con brio. That is not to be. The horns sound what might be a royal processional. The king, however, pays no heed to those he marches past or marches on. The quiet music intimates that something is going on behind a curtain. A tune appears with rushing notes, perhaps it carries a message, but the big, slow king returns. Again, welling up like a spring of fresh water a tune comes back. One hears a tiny, distant pipe. It sounds like a far off hope viewed through a window. And yet, the drums and horns take over. The music makes an effort at drawing itself up and then slides down again. The ominous, persistent walking, marching sounds limp back from a war and hurry onward. Suddenly, a quiet plea in a song that picks up the rhythm and sounds so modern; was this really written in 1808 and not 2008? The tiny pipe returns, and the orchestra repeats and repeats and repeats. Just when one’s ear expects the repeats to round out and balance, the movement ends on the upward sound without finishing what was anticipated. The third movement, Allegro (attacca) is the short scherzo on which the life of this symphony turns. It is the first cousin of the the first movement. Its struggles climb over the trenches of fear while multitudes of demons circle. They are relentless. They would be comic if they were not so dangerous. Beethoven gives us odd silences which are not at all restful rests. The many ranks of demons, low to the ground, creep and bounce forward toward us all. In the final Allegro, all changes. There is a dim sound which spirals up to become very loud, and, finally, one is there with the flag of humanity on a hilltop. It is a victory that took so many losses to achieve, and still it is a victory. The struggle is still there in the victory. Just when we think we’ve made it and the fight is done, the swarms of demons encircle our little hill. They are back. There are repeatedly repeated threats, and we are here. The music declares that we are here. We must keep climbing. We cannot relax, but there is melody for our surprising win, our survival. Elements of the orchestra take turns to weigh in on this. The melody almost rocks us and embraces us. It is sustained, and it sustains us. The quiet horn and the piccolo, whistling like a bird, dance on top of it all. All the instruments are rushing like too many clowns pouring out of a tiny coach; all of the themes are rising, and it ends with music that does not sound like an end. It is wonderful to have the experience of the 5th symphony in a hall with perhaps 2000 others living it together. And yet, there is also the experience of hearing it when alone so that one can release any inhibitions and spontaneously weep when weeping happens or stand with both arms reaching up or try to run, laughing, with the clowns. The SFSymphony’s program on June 18 included three more Beethoven works including solo piano performed by Jonathan Biss and two choral works. Please watch this space for the Hedgehog Highlight about those performances. They were too wonderful to go unsung, and the Hedgehog tries to keep posts to lengths manageable for Hedgehogs. The San Francisco Symphony will perform Symphony No. 5 again, conducted by Michael Tilson Thomas, June 27, on a program with Beethoven’s Piano Sonata No.23, and String Quartet in E-flat maj. Op. 74. On June 30, the SFS will perform Symphony No. 5, conducted by Edwin Outwater, on a program with Glinka’s Overture to Ruslan & Ludmila, and pianist Garrick Ohlsson performing Rachmaninoff’s Concerto No. 2 with the SFS. The Beethoven Festival also presents Beethoven’s only opera, FIDELIO, June 25, 26, & 28. For tickets and information: sfsymphony.org or call 415/864-6000 or visit the box office at Davies Symphony Hall, Grove St. between Van Ness & Franklin. This entry was posted in Hedgehog Highlights and tagged Beethoven, Beethoven Festival, Beethoven's 5th Symphony, Davies Symphony Hall, Michael Tilson Thomas, San Francisco Symphony on June 24, 2015 by Leslie. International Dance Festival@Silicon Valley: PROGRAM DATES! IDF@SV, 2015, the fourth season of this amazing, unique festival, opens August 9. Please take a look at the program dates below. You won’t want to miss your opportunity to dance, perform, create, watch and enjoy great dance. All events and classes at the Mountain View Masonic Center, 890 Church St., Mountain View, CA, 94041. Accessible building. Free parking. FESTIVAL PREVIEW: Sunday, AUGUST 9, Features 2 drop-in classes, Afro-Haitian/Dunham Technique, and Cuban Salsa. No partner needed. FREE COFFEE TASTING PRESENTED BY GAVINA GOURMET COFFEE, FREE SALSA PERFORMANCE LED BY SENSUOUS, FABULOUS SALSA-ISTA, LEANNE RINELLI. M2F© INTENSIVE WORKSHOPS: MON-FRI, AUGUST 10-14, practice technique & learn repertory in Classical Chinese Dance, Contemporary Dance, Cuban Salsa, Afro-Haitian/Dunham Tech, and the all new Choreo-Cubator© which is your opportunity to create or polish your own dance. Classical Chinese Dance is offered in two classes: one for ages 12-14, one for mid-teens to any adult age. M2F© workshops are best for intermediate to advanced/professional dancers. You might be advanced in contemporary but a newbie in Chinese, that’s fine. Choreo-Cubator© dancers show their work on Aug. 14, 6 p.m.
FULL DAY OF DANCE©: Saturday, Aug. 15, The Original, Wonderful Full Day offers 7 open master classes. All are mixed levels. Take something you love; try something new. Classes start at 9 a.m.; end at 5 p.m. Take one or more. Best Deal & Most Fun: take them all. Price per class reduces with each added class. Afro-Haitian/Dunham, Leslie Arbogast; Tap, Audreyanne Covarrubias; Classical Chinese Dance, Ann Woo; Pilates mat, Amity Johnson; Contemporary, Leslie Friedman; Cuban Salsa, Leanne Rinelli; Line Dances, Etta Walton. No partners needed for Lines or Salsa. Please bring a mat or big towel for Pilates, tap shoes preferable for tap class. Ages 15- any age adult. FESTIVAL CONCERT! Sunday, August 16, 3 p.m.,The Gala Celebration of Dance, Premiere Works & Guest Artists. Performances & Choreography by our Nationally & Internationally Acclaimed Artists: Leslie Arbogast, Audreyanne Covarrubias, Leslie Friedman, Leanne Rinelli, Etta Walton, Ann Woo, and The Festival Dancers. Complimentary refreshments. Open Seating. Tickets: $15 general/$10 over 65 or under 10/$25 Sponsor: best seats & $10 is a tax deductible donation. Pictures: at top: Leslie Friedman (L); Leslie Arbogast (R); middle head shot, Etta Walton; bottom, Leanne Rinelli. This entry was posted in INTERNATIONAL DANCE FESTIVAL-SILICON VALLEY and tagged Afro-Cuban dance, Afro-Haitian dance, Amity Johnson, Ann Woo, Audreyanne Covarrubias, CA, Classical Chinese dance, Contemporary Dance, Cuban Salsa, Dunham Technique, Etta Walton, Gavina Gourmet Coffee, international dance festival@silicon valley, Leanne Rinelli, Leslie Arbogast, Leslie Friedman, Line Dances, Line Dancing, Mountain View, Mountain View Masonic Center, salsa, Summer dance festivals, Tap Dance, The Lively Foundation on June 23, 2015 by Leslie. J.M.W. 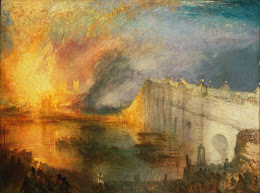 Turner’s paintings and watercolors make an eye opening exhibition at the de Young Museum. It opened on June 20 and stays up through September 20. It is a privilege to be in the same room with these great works created in the last fifteen years of Turner’s life and rarely seen in the US. He was born in London, 1775, and died in 1851. This is the first exhibition devoted to work from this period, 1835-1850. It is being shown at the Tate Britain, in London, the Getty Museum, in Los Angeles, and here at the de Young. It is not to be missed. Although many of the works have subjects from mythology and religion, it is the atmosphere of the natural world which most interests Turner. Even in the paintings which have titles from a mythological or historical event, what one sees in the painting is swirling color and light. 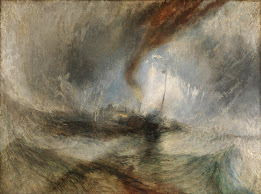 Titles such as Rough Sea with Wreckage, Burning of the Houses of Lords and Commons, 16 October 1834 (pictured above), Fiery Sunset, Fire at the Grand Storehouse, Tower of London reveal his true focus on forces of nature: fire, storms, bodies of water, clouds. He was admitted to the Royal Academy at age 14 and had his first exhibition in 1802. Throughout his artistic life, especially in these later years, he was an artist only like J.M.W. Turner. It is said that he influenced modern artists such as Monet and Rothko. While that is possible, it is important not to reduce him to be only a forerunner of Impressionism or Abstraction. Fascinated by light and the atmosphere, he did something so strange: he painted things that have no shape, like fire, fog, and wind. The exhibition, J.M.W. 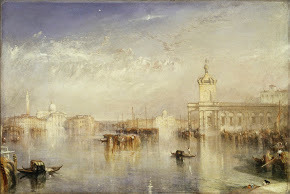 Turner: Setting Painting Free, has 65 works. There are large oils on canvas and some smaller water colors. It includes paintings meant to be hung side by side which are now reunited for this exhibition. As one enters the galleries, one sees a full wall taken up by a video of ocean waves. 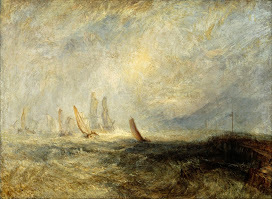 It is a wonderful way to enter Turner’s vision of a world in constant motion. Elements of nature, the sunlight of Venice, the watery atmosphere of London are the real and yet evanescent subjects of this great artist whose work is a category of its own. The de Young, in Golden Gate Park, is open Tues-Sun, 9:30 a.m.-5:15 p.m. Fridays, now through 11/27, until 8:45. Closes 4 p.m., July 4th. Admission to the exhibition is $20, Tues-Fri; $25 Sat, Sun, & holidays; $17and $22 for Srs. ; $16 & $21 for Students. Members free. Pictures: at top: Snow Storm–Steamboat off a Harbour’s Mouth Making Signals in Shallow Water, and going by the Lead. The author was in this Storm on the night the Ariel left Harwich, 1842, oil on canvas; below article, Left, Fishing Boats Bringing a Disabled Ship into Port Ruysdael, 1844, oil on canvas; Right, The Dogano, San Giorgio, Citella from The Steps of The Europa. 1842, oil on canvas. This entry was posted in Hedgehog Highlights and tagged de Young Museum, Fine Arts Museums San Francisco, J.M.W. Turner, Tate Britain on June 23, 2015 by Leslie. Michael Tilson Thomas, the remarkable Music Director & Conductor of the San Francisco Symphony, celebrates his 20th anniversary with the orchestra with a three week long Beethoven Festival, June 10-28, 2015. The gifted MTT has made a gift to the City–and anyone lucky enough to be visiting–of the great music and of one of his own many gifts: a genius for programming. Last night, June 17, the Hedgehogs and and an eager full-house audience heard Overture to the Ballet, The Creatures of Prometheus, Op. 43; Concerto No. 4 in G major for Piano and Orchestra, Op. 52; Ah! Perfido, Scene and Aria, Op. 65; and Symphony No. 6, Op. 68, Pastoral. It was a blissful evening that moved from thrills to calm transcendence. Beethoven’s Overture was brief and full of wonders. It especially intrigued this listener for its continual rhythmic invention. There is a swirling action of the music related to the introduction of human enlightenment in the sciences and the arts through the interventions of the gods. The story is not necessary, indeed, this Hedgehog had not read program notes which allowed the music to dance on its own. Once begun, the energy and magic of the music spins and lifts the listener to a momentary meeting on Parnassus. It ended quickly; the gods and their intertwining rhythms receded to the clouds. Jonathan Biss is tall, slight, and has the long, graceful hands one imagines for an acclaimed pianist. He also has a magnetic presence onstage which was a perfect match for the SF Symphony in Concerto No. 4. It seemed to me to be unusual for the pianist to begin a Concerto, and it is. The piano offers its thoughts. The orchestra responds. The fascinating rhythms noticed in The Creatures of Prometheus were a good mental preparation for the variety of rhythmic creativity in this Concerto. At one moment, as the Symphony was busily having its say, one note from the piano appeared clearly as though breaking in while its partner had only one beat to catch its breath. Mr. Biss’s fan-like hands compress for the astonishing trills that punctuate the piano’s poetry as the piano leads the orchestra into another atmosphere. The Concerto is spritely and touching. It seems to cleanse the air all around it. The SF Symphony performed as though this Concerto were its own; Mr. Biss gave an inspiring performance, far beyond exact or correct, lifting us up into Beethoven’s world. Soprano Karita Mattila’s performance of Ah! perfido was her debut with the SFS. 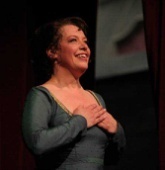 She is a much honored opera performer who added drama and character to the Festival evening. She is a statuesque blonde who used the clarity of her diction and technique to create powerful, expressive theater. The aria addresses a lover, the “perfidious, perjured, barbarous traitor,” who has left the singer. How is it possible that there could be an idiot who would leave Ms. Mattila’s character? She endowed her performance with all the anger, hurt, despair, and pain that could seize a goddess or even ten goddesses. “In pity’s name, do not say farewell,/for what, deprived of you, shall I do?” The aria was an interesting addition to the programming. It demonstrated the breadth of Beethoven’s reach into all forms of music. It arrested the attention of the audience with the power of the voice. And then, Beethoven’s 6th Symphony. It brings us into harmony with the natural world. It offers tranquility. Like a walk through a lovely park, it never disappoints anyone willing to listen. There are commentaries from learned Beethoven specialists who either state simply that this symphony has a “program,” meaning it describes a particular scene and events, or who try to step around that a little, as music with a program may not be truly great music to them. This is truly great music. Beethoven loved to walk in park or wood. “No one can love the country as much as I do,” he wrote, “For surely woods, trees, and rocks produce the echo which man desires to hear.” Yes, even rocks. There is a Shakespearian gathering of rough musicians which could be right out of A Midsummer Night’s Dream. They may be clumsy, but the author/composer loves them just as he values the rocks and trees. There is a terrible storm, but it passes over, and we are all safe together again. He captures the rhythms of putting one foot in front of another, of jumping over a brook, not a very big brook, of breathing air fresher than one’s usual air. It is steady and calm and beautiful. The SF Symphony’s superb performance captured the world changing beauty of the calm, easy breathing work. Would it be possible to convert those who deny the tragedy of climate change by having them listen to Beethoven’s 6th? It is a hard, closed heart which could not hear the call in this music full of supposedly common wonders. Tonight, June 18, The Hedgehogs hear the SF Symphony, Jonathan Biss, and the Symphony Chorus perform Sanctus, from the Mass in C maj., Choral Fantasy, op. 80; Fantasy in G Maj., op. 86; and Symphony No.5. I will look for Winston Churchill. I feel sure he will be there. For tickets to the Beethoven Festival concerts: sfsymphony.org or call 415/864-6000. This entry was posted in Hedgehog Highlights and tagged Ah! Perfido, Beethoven, Beethoven Festival, Beethoven's 6th Symphony, Beethoven's Piano Concerto No. 4, Jonathan Biss, Karita Matilla, Michael TilsonThomas, Overture to Creatures of Prometheus, San Francisco Symphony on June 18, 2015 by Leslie.